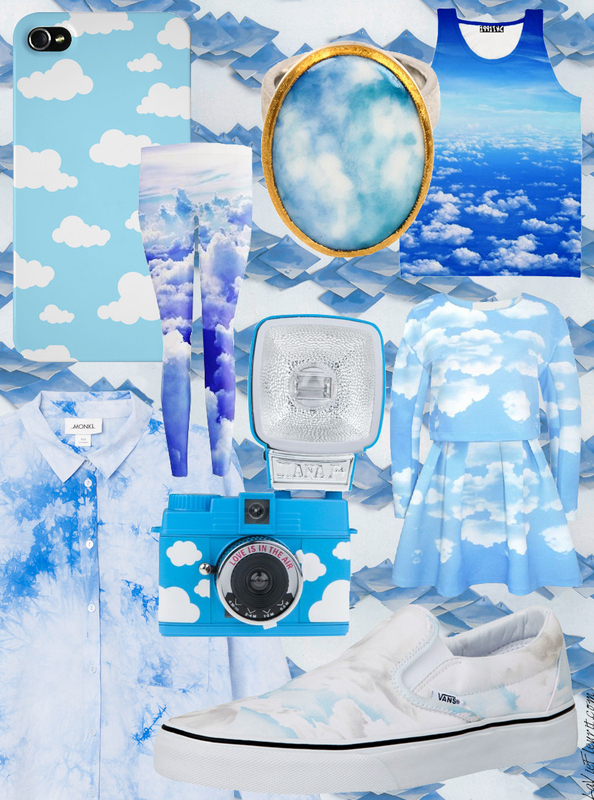 La Vie Fleurit: Trend File | With my Head in the Clouds !!! Trend File | With my Head in the Clouds !!! Sometimes I feel like a dreamer, but then I think why am supposedly called a dreamer just because I want things to work out as I want them to work out!? Sure there’s always the possibility that things didn’t go as you planed them … though I never give up on achieving my dreams, even if they’re put on hold for a little while … you know why!? Because dreams are there to be fulfilled! Just like adding all these fantastic dreamy items to my collection, although that wishlist doesn’t really belong to my lifelong bucket list haha! Nevertheless it’s still pretty fun right :)!? And now ask yourself which item(s) will you be dreaming off and what are your other dreams in life? Je moet echt goed zoeken voor je alles hebt gevonden, die camera is zo leuk!! Those Kenzo sneakers are dope! I know elke keer als ik er nu naar kijk moet ik ook weer ff zoeken haha! Wish I would have that Lomo Camera! Hahaha thnx, hopelijk komt mijn droom dat we zaterdag goed verkopen en leuke mensen ontmoeten op de Fashion Night Out in Oostende ook uit ahha! Ook echt iets voor jou haha! Je bent echt weer super veel aan het bloggen zag ik, TOF!